Why it matters: Sony just unveiled its latest flagship phone the Xperia XZ3 at IFA 2018. On the surface, it does not appear much different than the XZ2 that just launched earlier this year, but it does improve on a few things. Indeed, other than the new six-inch Quad HD+ HDR OLED display, which now curves over the edges, the two phones are physically similar. The 2,880 x 1,440 display was developed with the help of Sony’s Bravia TV engineers. 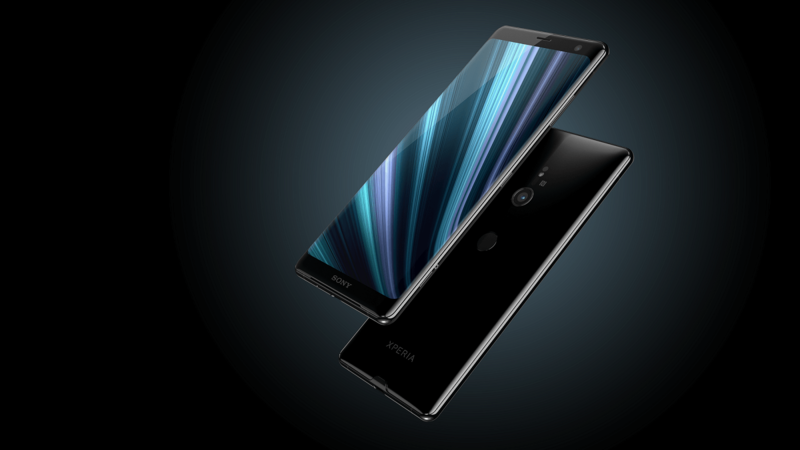 The company claims that the phone’s “brightness, contrast, and color reproduction are unmatched.” In fact, it would seem that it truly wanted to create a handheld TV in the XZ3 in that it also carries much of the technology such as resolution upscaling that it uses in its Bravia line. One of the common complaints about the XZ2 Premium (with its 5.8-inch screen) was that it was very bulky and unwieldy to handle one-handed. The XZ3 looks to address this issue via a software solution. If you double tap the side, a small contextual menu window appears. Machine learning algorithms determine what menu pops up depending on factors like location, time of day, and the day of the week. For example, if you open the music app every Monday, Wednesday, and Friday while you are at the guy, the XZ3 will learn this and open the music menu when you double tap it. The menu options will always be squished together right in easy reach of your thumb for no-hassle, one-handed selecting. Another way that Sony is using AI in the XZ3 is in a feature it calls “Smart Launch.” What this does is predicts when you want to take a picture, and automatically pulls up the camera app. It makes its predictions based on how you move the phone. For example, if you quickly pull the phone out and hold it sideways, the AI will “think” you are getting ready to snap a photo and open the app. Sony says all of these AI features can be turned off in the settings. The only other real difference between the XZ3 and the XZ2 is the front-facing camera. The 5MP sensor has been upgraded to 13MP capable of 3D face scanning. So now you can animate those emojis that seem to be the fad these days. The rear camera has not changed at 19MP capable of 4K HDR recording and 1080p super slo-mo. Overall there is not a lot separating the XZ3 from the XZ2 or even from the XZ2 Premium for that matter. But if a few new bells and whistles are your thing and you have $900 burning a hole in your pocket, you can pick up the Xperia XZ3 when it releases this October. It ships with Android 9 Pie and will be available in four colors: black, white, red, and green.